For over 29 years some of the classes within the Clinton Township School District have sent holiday treats to students in need in the Camden area of New Jersey. This year we would like to continue this Service Project, which is a wonderful opportunity for our students to learn about our word of the month for December: Generosity. We will need assistance from parent volunteers to help with the wrapping on Monday, December 14. Please contact your child’s homeroom teacher if you are able to assist. Thank you! 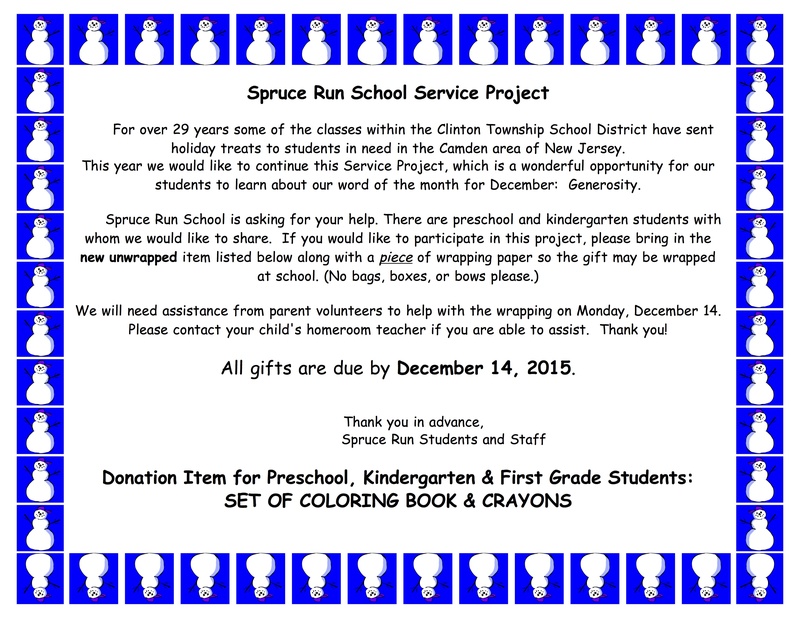 All gifts are due by December 14, 2015.